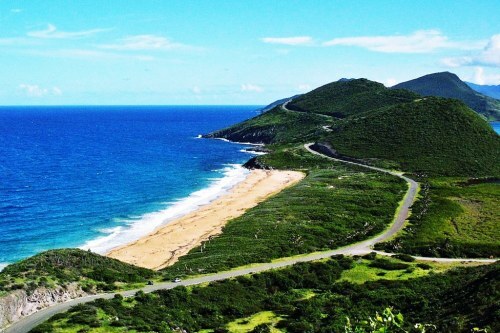 Air Canada Rouge is selling off some last minute seats on their non-stop flights from Toronto to the Caribbean island of Saint Kitts for $210 CAD roundtrip including taxes. This is about 70% cheaper than the typical cheapest roundtrip flights from Toronto to Saint Kitts and Nevis. When you see $420 as the total price, that's for 2 passengers (assuming you kept the default of a search for 2 passengers). A search on Airbnb around these dates shows a few properties with decent reviews for just over $100 CAD/night for 2 people. There's one for $95 CAD/night with 5 stars after 18 reviews.